"Chernenko" redirects here. For the surname, see Chernenko (surname). Konstantin Ustinovich Chernenko (/tʃɜːrˈnɛŋkoʊ/; Russian: Константи́н Усти́нович Черне́нко, IPA: [kənstɐnˈtʲin usˈtʲinɐvʲɪtɕ tɕɨrˈnʲenkə], 24 September 1911 – 10 March 1985) was a Soviet politician and the fifth General Secretary of the Communist Party of the Soviet Union. He led the Soviet Union from 13 February 1984 until his death thirteen months later, on 10 March 1985. Chernenko was also Chairman of the Presidium of the Supreme Soviet from 11 April 1984 until his death. Chernenko was born to a poor family in the Siberian village of Bolshaya Tes (now in Novosyolovsky District, Krasnoyarsk Krai) on 24 September 1911. His father, Ustin Demidovich (of Ukrainian origin), worked in copper mines and gold mines while his mother took care of the farm work. 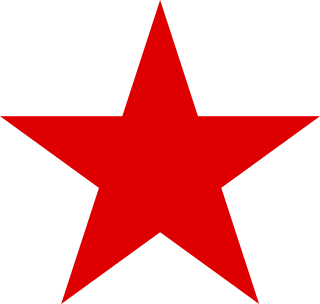 Chernenko joined the Komsomol (Communist Youth League) in 1929, and became a full member of the Communist Party in 1931. From 1930 to 1933, he served in the Soviet frontier guards on the Soviet–Chinese border. After completing his military service, he returned to Krasnoyarsk as a propagandist. In 1933 he worked in the Propaganda Department of the Novosyolovsky District Party Committee. A few years later he was promoted to head of the same department in Uyarsk Raykom. Chernenko then steadily rose through the Party ranks, becoming the Director of the Krasnoyarsk House of Party Enlightenment, then in 1939 the Deputy Head of the Agitprop Department of Krasnoyarsk Territorial Committee, and finally in 1941 Secretary of the Territorial Party Committee for Propaganda. 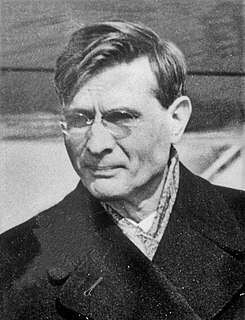 In the 1940s he established a close relationship with Fyodor Kulakov. In 1945, he acquired a diploma from a party training school in Moscow, and in 1953 he finished a correspondence course for schoolteachers. Chernenko's Party card following his promotion to the CPSU's Central Committee. In 1964, Soviet leader Nikita Khrushchev was deposed, and succeeded by Brezhnev. During Brezhnev's tenure as Party leader, Chernenko's career continued successfully. He was nominated in 1965 as head of the General Department of the Central Committee, and given the mandate to set the Politburo agenda and prepare drafts of numerous Central Committee decrees and resolutions. He also monitored telephone wiretaps and covert listening devices in various offices of the top Party members. Another of his jobs was to sign hundreds of Party documents daily, a job he did for the next 20 years. Even after he became General Secretary of the Party, he continued to sign papers referring to the General Department (when he could no longer physically sign documents, a facsimile was used instead). In 1971, Chernenko was promoted to full membership in the Central Committee: Overseeing Party work over the Letter Bureau, dealing with correspondence. In 1976, he was elected secretary of the Letter Bureau. He became Candidate in 1977, and in 1978 a full member of the Politburo, second to the General Secretary in the Party hierarchy. During Brezhnev's final years, Chernenko became fully immersed in ideological Party work: heading Soviet delegations abroad, accompanying Brezhnev to important meetings and conferences, and working as a member of the commission that revised the Soviet Constitution in 1977. In 1979, he took part in the Vienna arms limitation talks. After Brezhnev's death in November 1982, there was speculation that the position of General Secretary would fall to Chernenko, but he was unable to rally enough support for his candidacy within the Party. Ultimately, KGB chief Yuri Andropov, who had been more mindful of Brezhnev's failing health, succeeded to the position. Yuri Andropov died in February 1984, after just 15 months in office. Chernenko was then elected to replace Andropov even though Andropov himself stated he wanted Gorbachev to succeed him. Additionally, Chernenko was terminally ill himself. Despite these factors, Yegor Ligachev writes in his memoirs that Chernenko was elected general secretary without a hitch. At the Central Committee plenary session on 13 February 1984, four days after Andropov's death, the Chairman of the Council of Ministers, Premier, and Politburo member Nikolai Tikhonov moved that Chernenko be elected general secretary, and the Committee duly voted him in. Arkady Volsky, an aide to Andropov and other general secretaries, recounts an episode that occurred after a Politburo meeting on the day following Andropov's demise: As Politburo members filed out of the conference hall, either Andrei Gromyko or (in later accounts) Dmitriy Ustinov is said to have put his arm round Nikolai Tikhonov's shoulders and said: "It's okay, Kostya is an agreeable guy (pokladisty muzhik), one can do business with him...." The Politburo failed to pass the decision for Gorbachev, who was nominally Chernenko's second in command, to run the meetings of the Politburo itself in the absence of Chernenko; the latter due to his declining health began to miss those meetings with increasing frequency. As Nikolai Ryzhkov describes it in his memoirs, "every Thursday morning he (Mikhail Gorbachev) would sit in his office like a little orphan – I would often be present at this sad procedure – nervously awaiting a telephone call from the sick Chernenko: Would he come to the Politburo himself or would he ask Gorbachev to stand in for him this time again?" In foreign policy, he negotiated a trade pact with China. Despite calls for renewed détente, Chernenko did little to prevent the escalation of the Cold War with the United States. For example, in 1984, the Soviet Union prevented a visit to West Germany by East German leader Erich Honecker. However, in late autumn of 1984, the U.S. and the Soviet Union did agree to resume arms control talks in early 1985. In November 1984 Chernenko met with Britain's Labour Party leader, Neil Kinnock. In 1980, the United States had boycotted the Summer Olympics held in Moscow in protest at the Soviet invasion of Afghanistan. The following 1984 Summer Olympics were due to be held in Los Angeles, California. On 8 May 1984, under Chernenko's leadership, the USSR announced its intention not to participate, citing security concerns and "chauvinistic sentiments and an anti-Soviet hysteria being whipped up in the United States". The boycott was joined by 14 Eastern Bloc countries and allies, including Cuba (but not Romania). The action was widely seen as revenge for the U.S. boycott of the Moscow Games. The boycotting countries organised their own "Friendship Games" in the summer of 1984. Chernenko's grave at the Kremlin Wall Necropolis in Moscow. Chernenko started smoking at the age of nine, and he was always known to be a heavy smoker as an adult. Long before his election as general secretary, he had developed emphysema and right-sided heart failure. In 1983 he had been absent from his duties for three months due to bronchitis, pleurisy and pneumonia. Historian John Lewis Gaddis describes him as "an enfeebled geriatric so zombie-like as to be beyond assessing intelligence reports, alarming or not" when he succeeded Andropov in 1984. In early 1984, Chernenko was hospitalised for over a month but kept working by sending the Politburo notes and letters. During the summer, his doctors sent him to Kislovodsk for the mineral spas, but on the day of his arrival at the resort Chernenko's health deteriorated, and he contracted pneumonia. Chernenko did not return to the Kremlin until later in 1984. He awarded Orders to cosmonauts and writers in his office, but was unable to walk through the corridors of his office and was driven in a wheelchair. Emphysema and the associated lung and heart damage worsened significantly for Chernenko in the last three weeks of February 1985. According to the Chief Kremlin doctor, Yevgeny I. Chazov, Chernenko had also developed both chronic hepatitis and cirrhosis of the liver. On 10 March at 15:00, Chernenko fell into a coma and died later that evening at 19:20. He was 73 years old. An autopsy revealed the cause of death to be a combination of chronic emphysema, an enlarged and damaged heart, congestive heart failure and liver cirrhosis. Chernenko became the third Soviet leader to die in less than three years. Upon being informed in the middle of the night of his death, U.S. President Ronald Reagan is reported to have remarked "How am I supposed to get anyplace with the Russians if they keep dying on me?" After the death of a Soviet leader it was customary for his successors to open his safe. When Gorbachev had Chernenko's safe opened, it was found to contain a small folder of personal papers and several large bundles of money; a large amount of money was also found in his desk. It is not known what the money was for. Chernenko's first marriage produced a son, Albert, who became a noted Soviet legal theorist. His second wife, Anna Dmitrevna Lyubimova (1913–2010), who married him in 1944, bore him two daughters, Yelena (who worked at the Institute of Party History) and Vera (who worked at the Soviet Embassy in Washington, D.C. in the United States), and a son, Vladimir, who was a Goskino editorialist. In 2015, archival documents were published, according to which Konstantin Chernenko had many more wives, and many more children with them; this circumstance, perhaps, was the reason for the slowing of Chernenko's career growth in the 1940s. He had a gosdacha (state-owned vacation house) named Sosnovka-3 in Troitse-Lykovo by the Moskva River with a private beach, while Sosnovka-1 was used by Mikhail Suslov. ^ "Chernenko". Collins English Dictionary. ^ "Konstantin Chernenko – Russiapedia Leaders Prominent Russians". Russiapedia. RT. Retrieved 21 January 2017. ^ Hough, Jerry F. (1997). Democratization and revolution in the USSR, 1985–1991. Brookings Institution Press. p. 67. ISBN 0-8157-3748-3. ^ "SUCCESSION IN MOSCOW: A PRIVATE LIFE, AND A MEDICAL CASE; Briton Is Optimistic On Gorbachev Views". The New York Times. 1985. Retrieved 5 June 2018. ^ a b Altman, Lawrence K., "Succession in Moscow: A Private Life, and a Medical Case; Autopsy Discloses Several Diseases", New York Times, 25 March 1985. ^ Post, Jerrold M. (2004). Leaders and Their Followers in a Dangerous World: The Psychology of Political Behavior. Psychoanalysis & Social Theory. Ithaca: Cornell University Press. p. 87. ISBN 0-8014-4169-2. ^ Burns, John F. (16 February 1984). "World Attention Turns To Chernenko's Health". The New York Times. ^ John Lewis Gaddis (2005). The Cold War: A New History. Penguin Press. p. 228. ISBN 978-1594200625. ^ a b Mydans, Seth (1 March 1985). "A Halting Chernenko is on TV Again". The New York Times. Retrieved 15 September 2012. ^ Maureen Dowd, "Where's the Rest of Him?" The New York Times, 18 November 1990. ^ a b "Prominent Russians: Konstantin Chernenko". Russiapedia. Retrieved 3 September 2013. ^ Леонид Максименков. Человек одного года // «Огонёк», 16 March 2015. Brown, Archie (April 1984). "The Soviet Succession: From Andropov to Chernenko". World Today. 40: 134–141. Daniels, Robert V. (20 February 1984). "The Chernenko Comeback". New Leader. 67: 3–5. Halstead, John (May – June 1984). "Chernenko in Office". International Perspectives: 19–21. Meissner, Boris (April 1985). "Soviet Policy: From Chernenko to Gorbachev". Aussenpolitik. Bonn. 36 (4): 357–375. Pribytkov, Victor (December 1985). "Soviet-U.S. Relations: The Selected Writings and Speeches of Konstantin U. Chernenko". American Political Science Review. 79 (4): 1277. JSTOR 1956397. Urban, Michael E. (1986). "From Chernenko to Gorbachev: A Repolitization of Official Soviet Discourse". Soviet Union/Union Soviétique. 13 (2): 131–161. Human Rights in Soviet Society by Chernenko. Vladimir Ivanovich Dolgikh is a Russian politician who was head of the Metallurgical Department of the Central Committee Secretariat of the Communist Party of the Soviet Union. He was a candidate member (non-voting) of the Politburo from 1982 to 1988.